You might have seen the banner on our blog but we wanted to give you some more information about the upcoming MTV Mobile Beats Festival which will take place in Essen on August 18. In addition to the general information we will tell you what you can expect from us and don’t forget to take part in our competition! 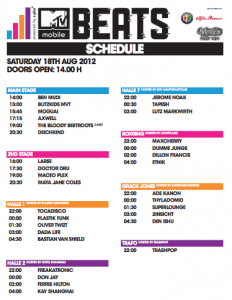 On Saturday, August 18, MTV Mobile Beats Festival will take place and the line-up looks pretty good. For the house lovers they present Moguai, Tocadisco, Dadalife and Axwell, for the guys who like some deeper stuff Maceo Plex and Maya Jane Coles are definitely two hot names and for those who like more commercial music the german electro band Deichkind will be a good choice. The location of the Festival is the Delta Music Park in Essen with its club and its outside area where two stages will be built. 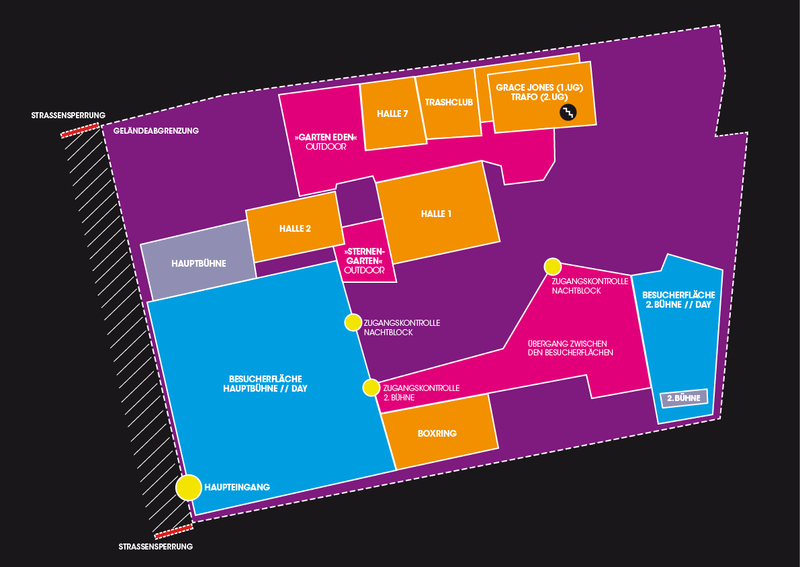 Below you can find the site plan. Of course toblip.com will be attend to the festival and we are going to shoot some great pictures and videos for you guys. We hope to share as much great impressions as possible in a review and hopefully we can sort out some things for the future! If you want to attend to the festival you can order your tickets on http://www.mtvmobilebeats.de/ or take part in our competition on facebook (http://www.facebook.com/toblipcom on the competition tab).